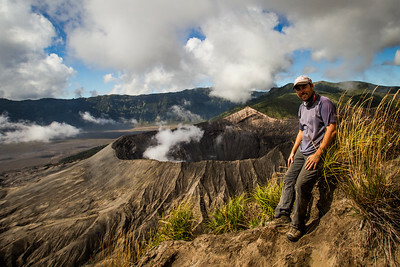 The photographer, Paul Williams on the summit of Mt Batok which overlooks the active volcano of Mount Bromo. 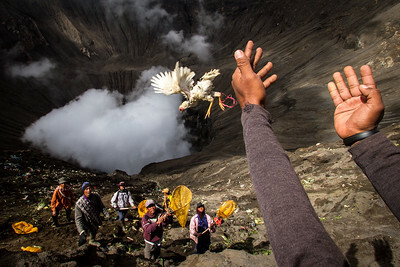 A chicken is thrown into the crater of Mt Bromo - an offering to the volcano god. 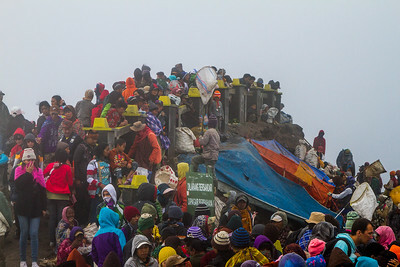 The catchers eagerly await. 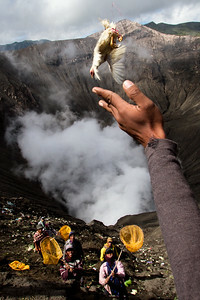 A 'catcher' picks up a chicken, considered to be a blessing from the volcano god. 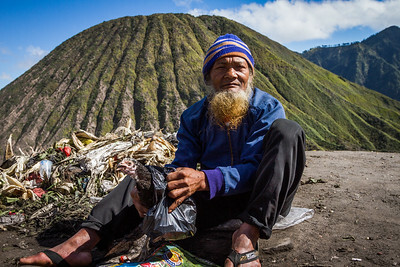 At the summit of Mt Bromo a Tengger man prepares his offering of a chicken before throwing it into the volcano. 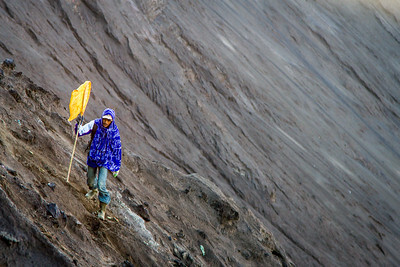 Some people known as 'catchers' risk their lives by climbing onto the steep inner slope of the crater. 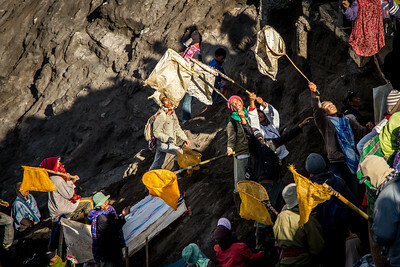 Armed with nets they run and jump to try and catch the offerings before they reach the choking heart of the volcano - the belief is that each item they catch is a blessing from the god. 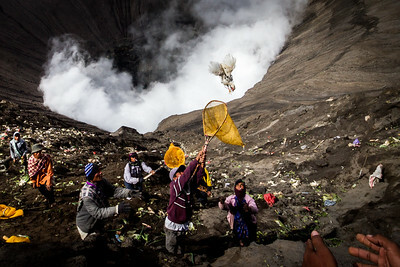 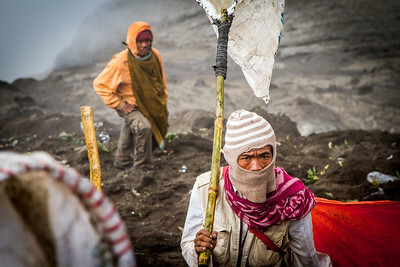 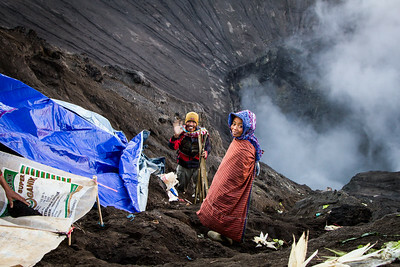 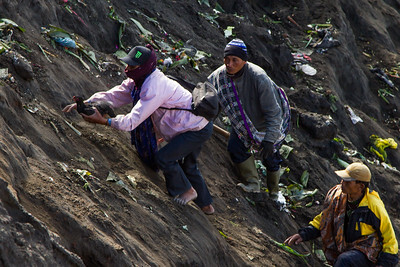 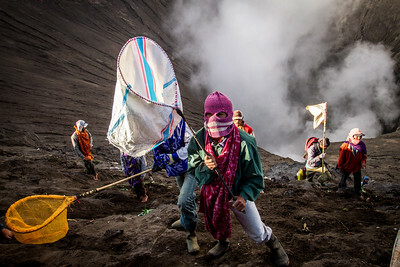 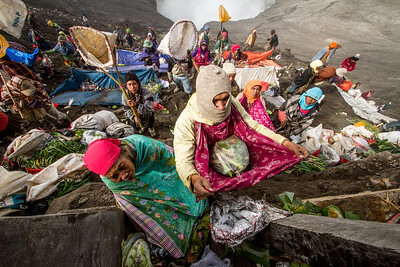 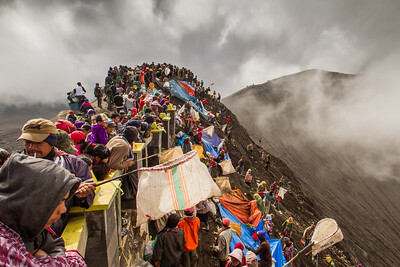 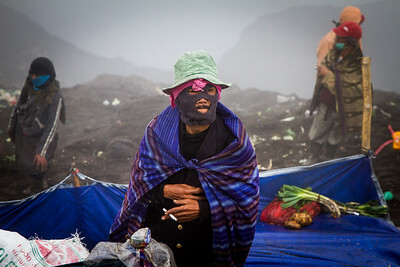 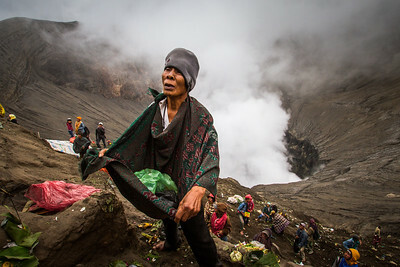 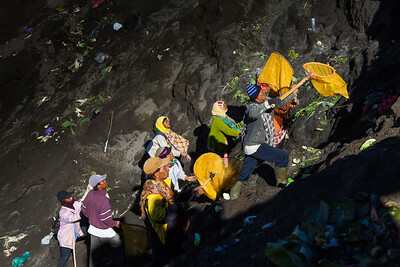 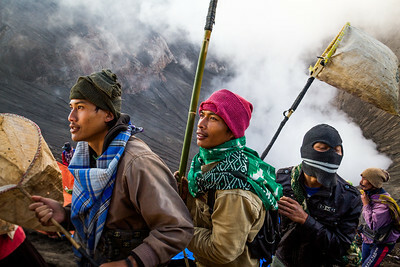 Tengger people pray to the god of the volcano before throwing their offering into Mount Bromo's smoking crater. 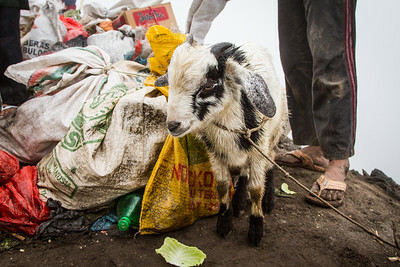 Vegetables, money, chickens and even goats are offered, but fortunately today live animals are symbolic and are safely passed from above to a catcher waiting in the crater below. 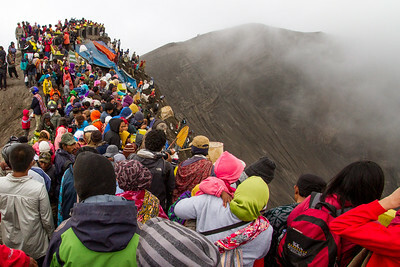 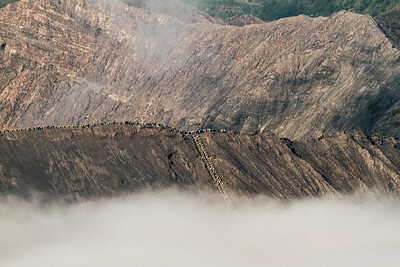 The summit of Mt Bromo is crowded on Yadnya Kasada as thousands of people gather to make their offerings to the volcano god. 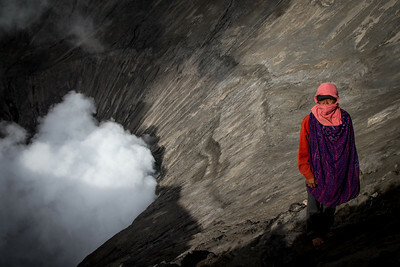 The smoke from the crater can sometimes be overwhelming. 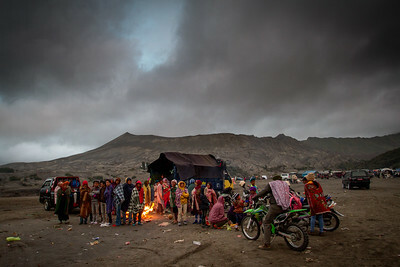 Tengger people gather on the Sea of Sand to celebrate Yadnya Kasada festival before climbing Mt Bromo to make an offering to the volcano god. 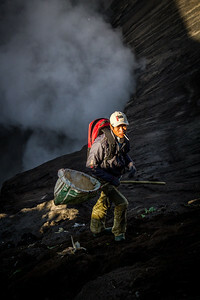 A catcher with his net on the steep inner slope of Mt Bromo. 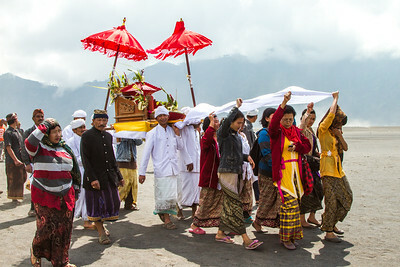 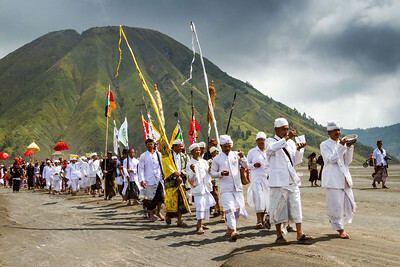 Tengger people form a procession to mark the beginning of the Yadnya Kasada festival. 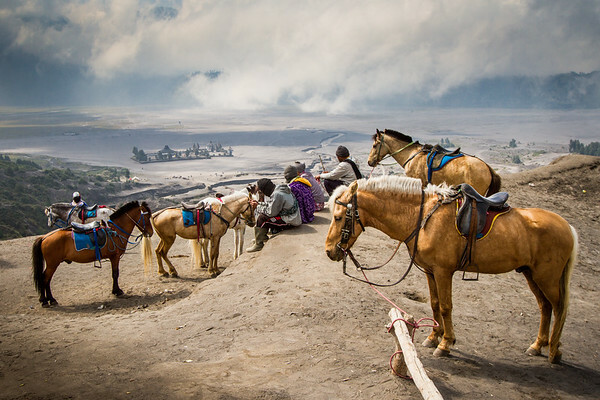 Horses wait to take people up Mt Bromo to make their offerings to the volcano god.